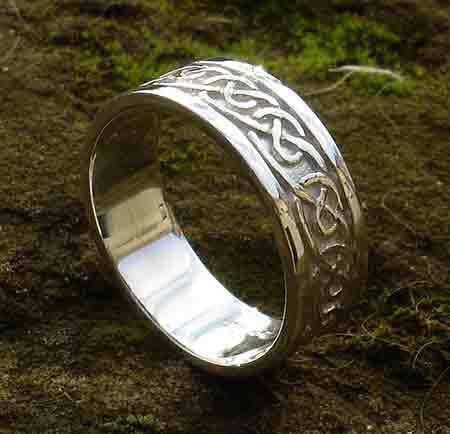 Silver Scottish Celtic Wedding Ring : LOVE2HAVE in the UK! 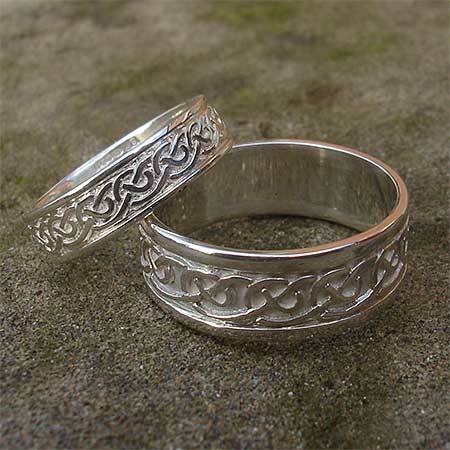 A classic Scottish Celtic wedding ring with a bold Celtic knot pattern that runs around the rings entire outer surface with a very handcrafted quality. The slight unevenness and textured surfacing make it look like an authentic stone carving flanked by pronounced outer raised rails. The Celtic line of life design on this ring features a design influenced on some real Celtic treasure discovered on St Ninian's Isle in the 1950's. Available in solid sterling silver, the ring is beautiful at 8mm wide. 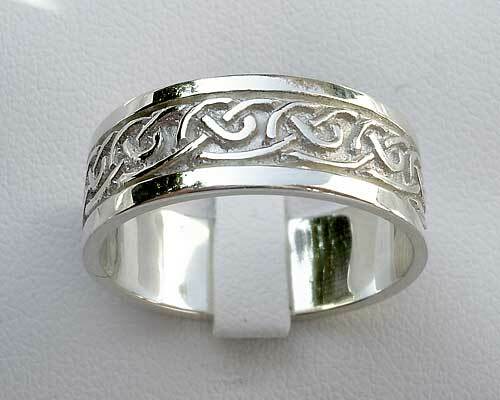 We love this ring as it is a great all rounder and makes a great Celtic wedding ring suitable for him or her.